I began this series promising to speculate on three possible futures for the LMS - evolution, revolution, or extinction - so let's start with evolution. An evolutionary path assumes that the LMS as we know it today basically got it right, it just needs to get better. If the user interface can be improved and simplified, if mobile access can be an assumption, if outside tools can be better integrated - maybe that's all we need. Now, after we get done chuckling over "mobile first" being the second item on the list, what we have here is a recipe for incremental, evolutionary change. Some people I respect spent a lot of time looking at the new user interface and came away impressed. Bb claims they are moving to a fully responsive design, and from what I saw it appears to use a timeline as the key organizing principle for the interface, which seems like a promising approach to me. Providing a better interface and better mobile access can potentially improve the user experience for Blackboard - and perhaps help catch them up with the competition - but does nothing to address the essential nature of the critique I've developed here. Any LMS built around the model of a closed course has severe limitation and implications that I think have negative consequences (elucidated nicely here by Michelle Pacansky-Brock). I don't have a lot to say here about cloud infrastructure - I think this is a move that Blackboard needs to make to be competitive but it has no inherent impact on the student or faculty learning experience. Big data... I don't want to go there right now. Just for the moment, let me say my optimism about the potential for big data is balanced by some pretty big doubts about the value and concerns about the risk. This is Blackboard's plan and the list might be different for another LMS, but an evolutionary change means we've accepted what an LMS is and what it can do, we just want it to do it better. That might be the most likely path for the near future, but it's also the least interesting, so I'm looking forward to my next post on revolutionary change. 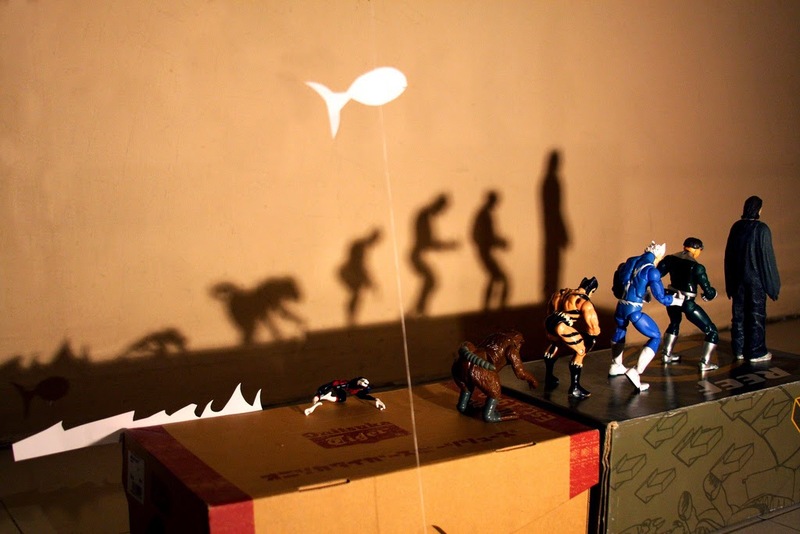 I'm more eagerly awaiting the revolutionary piece of course... but one thought about evolution: in the 9 years (I think?) that we have had D2L, I have seen almost no evolution... and that is something that really puzzles me. It COULD evolve in some natural ways, but has not. When we first went with D2L, the whole social web had not really happened (Facebook was very new, Twitter had not even started, Google had just purchased Blogger, had not yet bought YouTube etc.) ... but as all that started happening and making a real difference in education, D2L just sat there. They still don't have an RSS-in option and their RSS-out option is so badly limited by the closed architecture that it is not very useful; the idea of aggregating streams of content, dynamic widgets, any kind of syndication is still just alien to that system. D2L now makes a lot of noise about personalization, but the kind of personalization that appeals to me - i.e., student CHOICE - is not a feature you will find: students cannot build their own homepages, cannot unmark items in the calendar when completed, and building courses based on student-chosen pathways is practically impossible... well, I could go on and on. The technological evolution that should have been possible over the past five years or so just has not happened. So, my guess is that the closed nature of the system, which is more a question of PHILOSOPHY at this point than technology, is actually PREVENTING them from evolving. Sure, legacy code is no doubt a problem... but it really seems that it is the "philosophy of closed" (imitating the closed physical classroom...?) is the bigger problem. Not that I really want the LMSs to evolve; I would prefer for them to go extinct so that we can just start over. So... I am very curious which possibilities you will explore in the next post! Great comments Laura. I think there's three interacting, reinforcing factors. First, if you build a system based on a particular paradigm (the closed course) then making changes that mess with that paradigm in an incremental way that makes sense for your users is very difficult to do. Second, there is the core philosophy which you have to overcome to even see the value of the change. Third, there's the business model - LMS's still have the (obsolete) model of a portal, a virtual "place" you go to get everything related to your (course) work. If you break that, you change the fundamental relationship you have with the tool and you also reduce the data you can collect about interaction (that whole "BIG DATA" thing that I plan to tackle later). I think the smarter people in the industry realize this but that doesn't make it easy to change. And to manage your expectations - I most certainly don't attempt to outline all the forms an LMS revolution might take - so I hope you and others will contribute your own thoughts which may well be better than mine. Thanks for the dialog!